 O Messenger of Allah, you are more beloved to me than anything except my own self. Allahs Messenger ﷺ then told him, No, by the One in Whose Hand is my soul, not until I am more beloved to you than your own soul. `Umar then told him, By Allah, now you are more beloved to me than my own soul. Allahs Messenger ﷺ then told him that now he had the complete and correct faith. 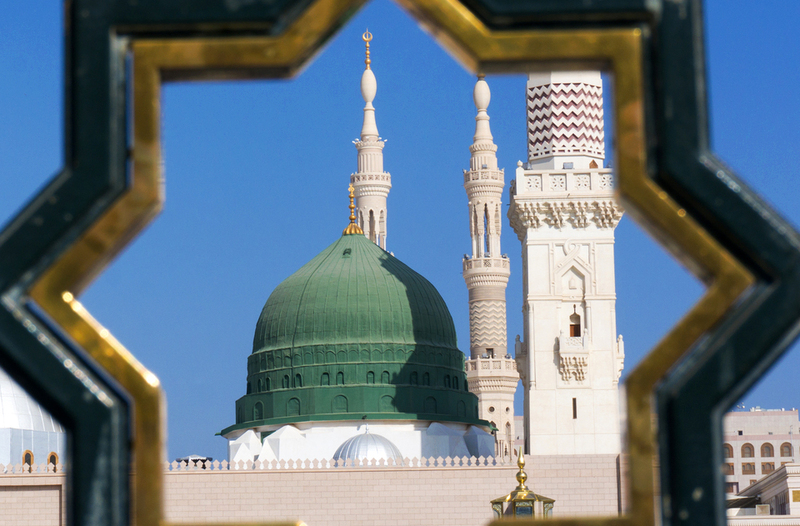 Love for the Messenger ﷺ is at two levels. The first level is obligatory. This is the love that requires a person to accept whatever the Messenger ﷺ brought from Allah and to receive it with love, pleasure, esteem and submission, without seeking [absolute religious] guidance from any other source whatsoever. This then leads to following him ﷺ closely in everything he conveyed from his Lord and to affirm everything he ﷺ reported of obligations, to remain away from anything he prohibited, to give support for his religion and to strive against those who oppose him to the best of one’s ability. All these are necessary components that one must possess and a person’s Iman is not complete without them. The second level is superior [even if it is not an pillar of Faith]. This type of love means to follow his ﷺ example in an excellent way and to follow his Sunnah in his behaviour, manners, voluntary deeds, supererogatory actions, eating, drinking, dressing, excellent behaviour with his wives and other aspects of his perfect manners and pure behaviour. It also includes learning about his ﷺ life. Moreover, the heart trembles when he ﷺ is mentioned. This second level further includes saying a lot of prayers and blessings upon him out of love for him in his heart, esteem for him and respect for him ﷺ. It also includes loving listening to his words and preferring them over those of others from among the creation. And one of the greatest aspects of this love is to follow him ﷺ in his abstinence of this world, his being sufficient with a little and his turning to and desiring of the everlasting Hereafter. Allah. Allah. love. prophet. sunnah. messenger. peace. be. upon. him. islam. muslim. ibn. rajab. Subhan’Allah thank-you for this wonderful reminder! How To Stop Going Back To Sinful Ways? Can I Eat Meat Of The Jews And Christians?